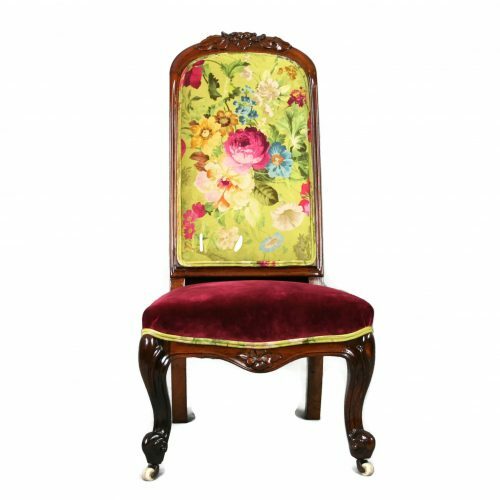 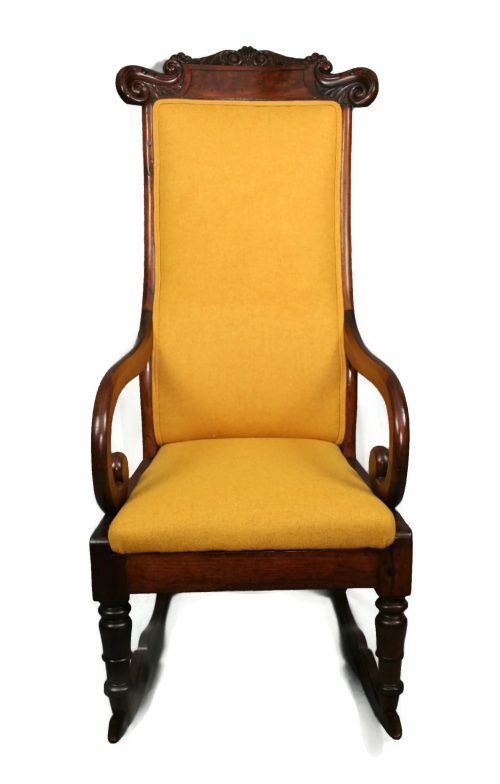 19th Century Ladies Chair in rare Brazilian rosewood. Brazilian rosewood is special and characterised by dramatic changes to the colour and grain. It is therefore very distinct and sought after – it was given most protected status in 1992 and banned from export. 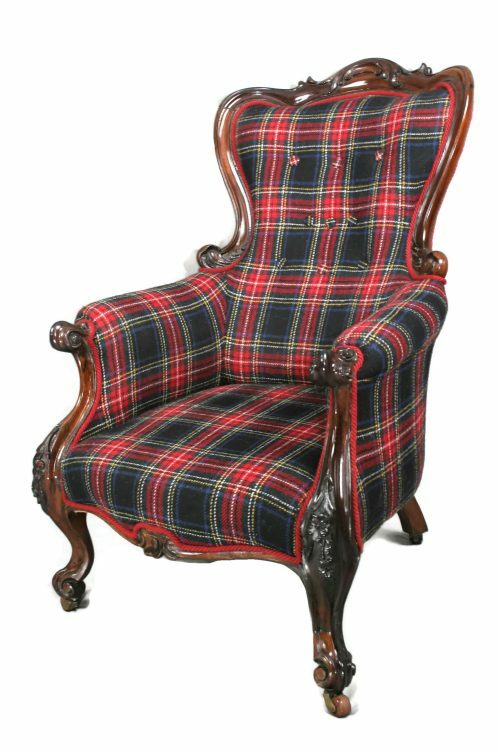 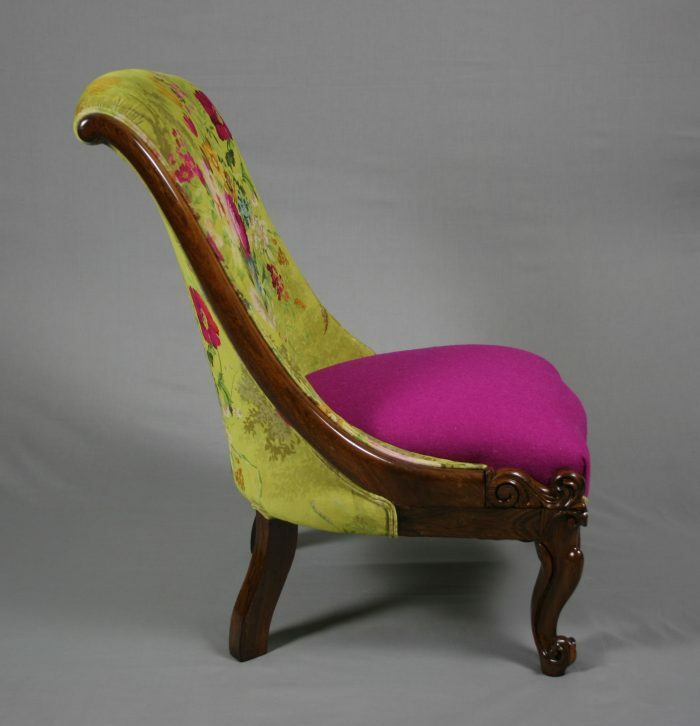 This stunning piece has carved cabriole front legs, splayed rear ones and sweeping side rails that end in a scroll. 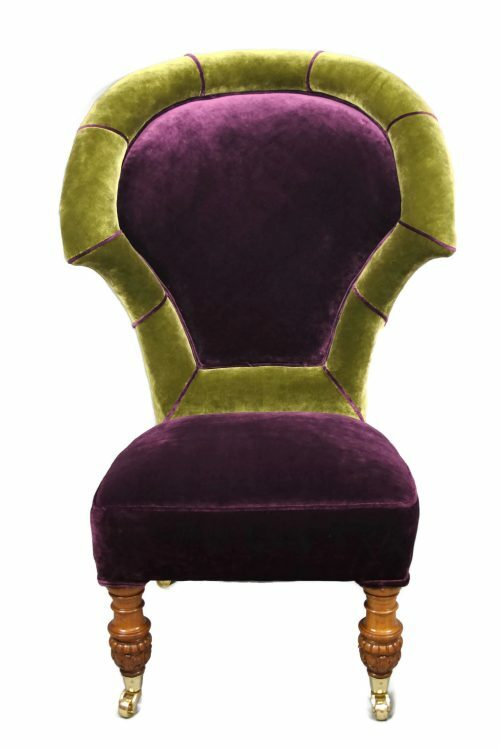 The design is incredibly comfortable and very elegant. 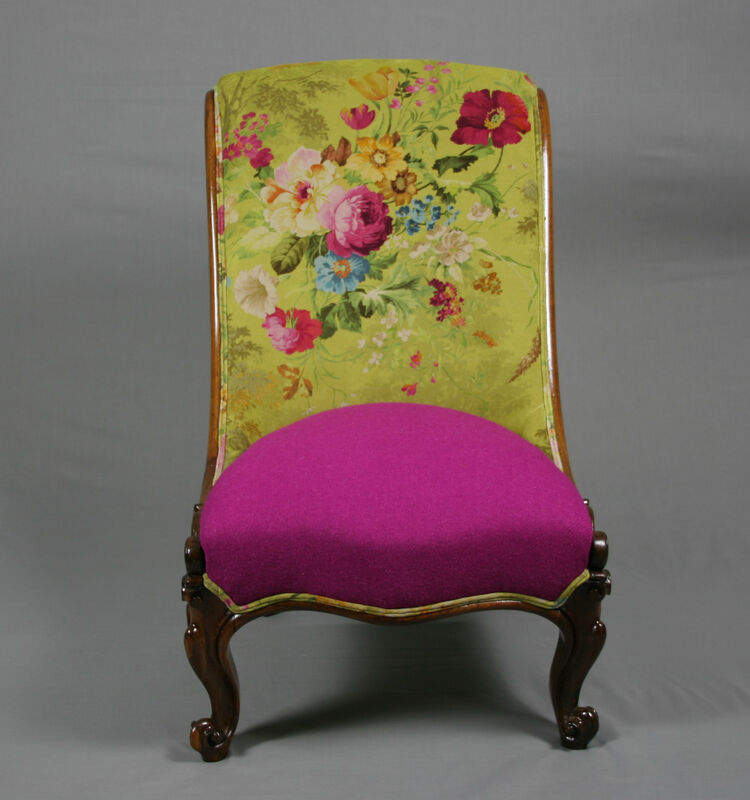 We decided to combine Spanish Alhambra velvet with Harris Tweed making it a striking piece. 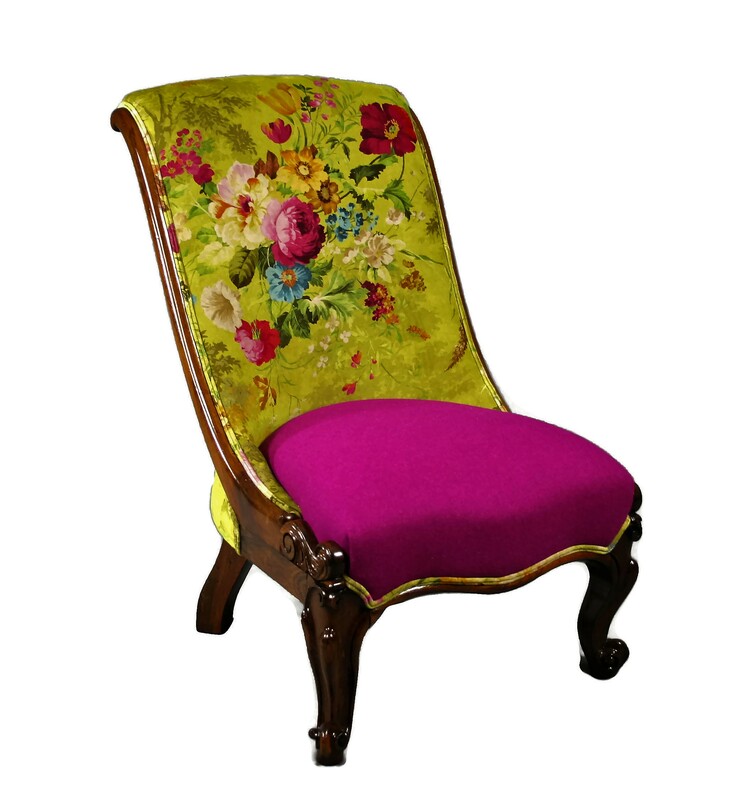 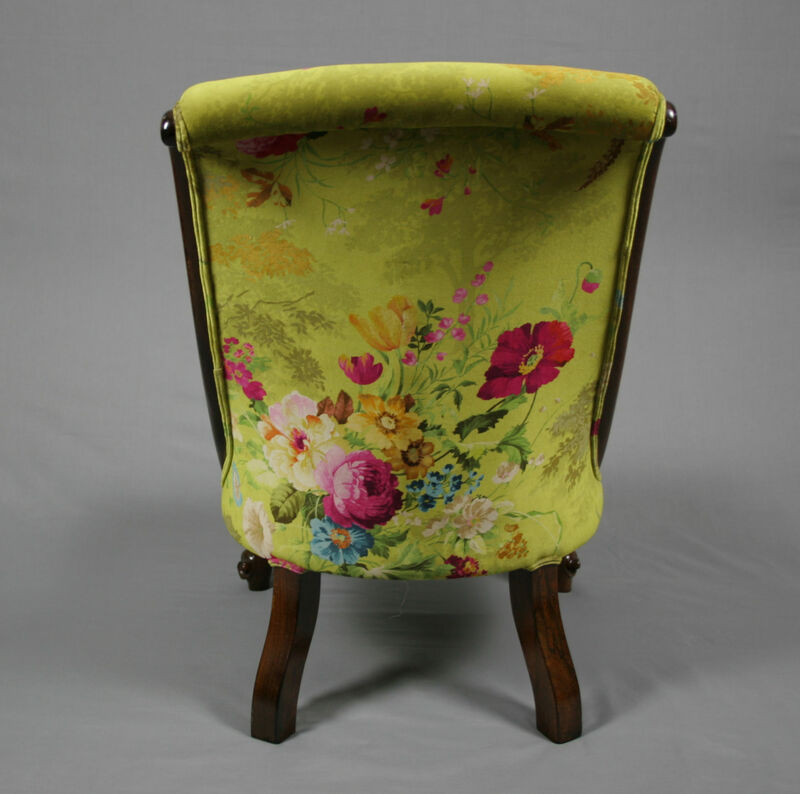 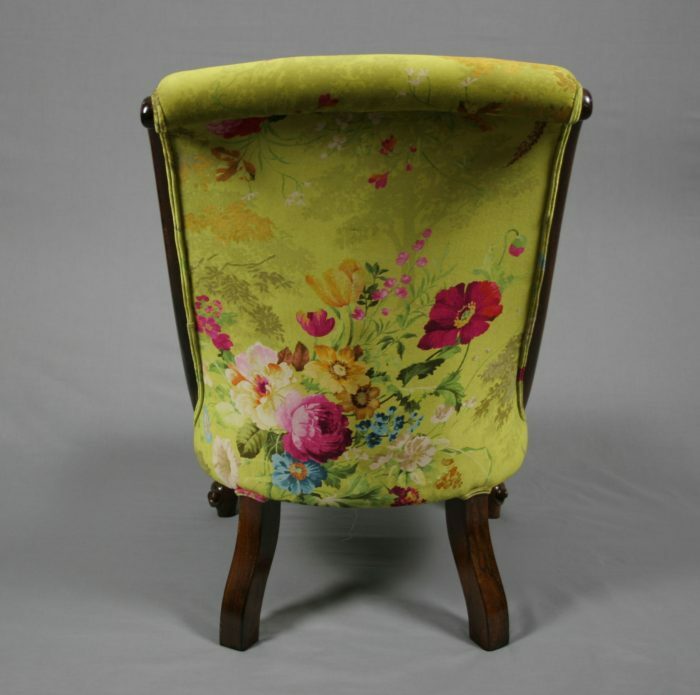 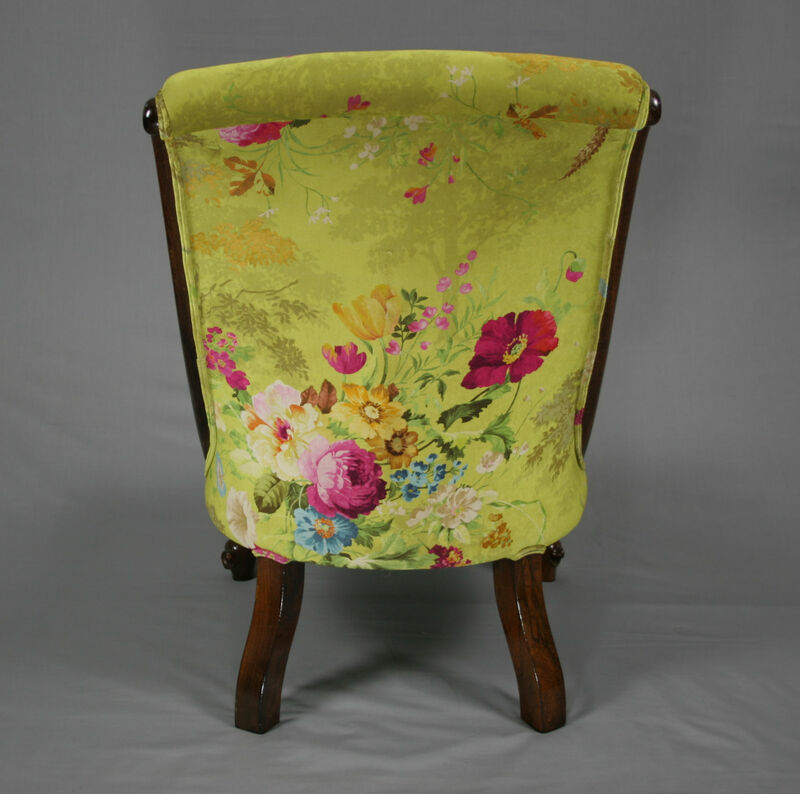 Whilst respecting the traditional floral motifs originally used on these chairs it adds a contemporary twist. The chair has been fully restored using traditional techniques and materials and has sprung seat. 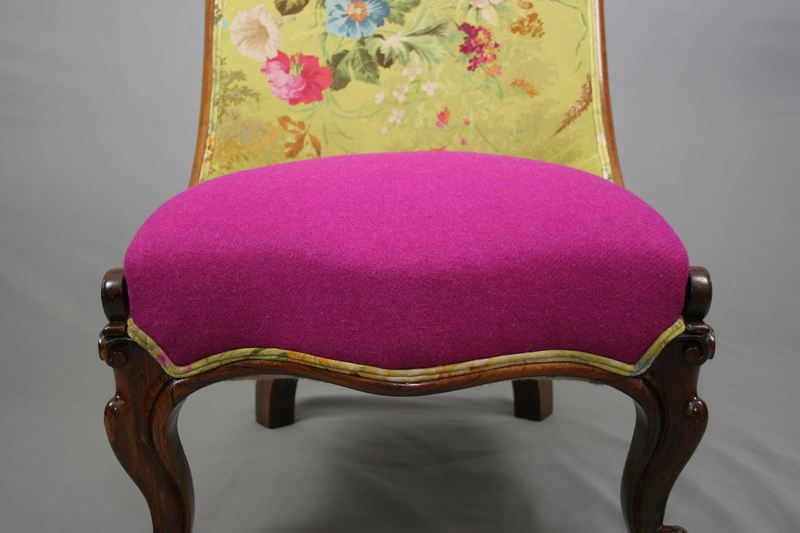 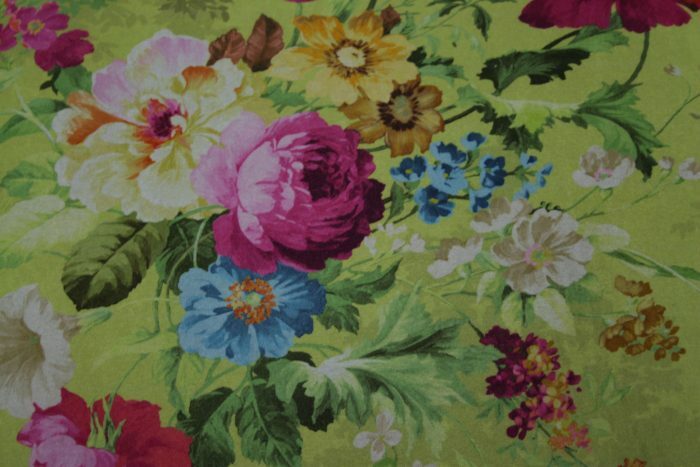 You may also wish to look at a similar, though earlier piece in our collection in different colours.